You love to sing. You do whatever it takes to sound good, but it’s not always easy. You have your embarrassing moments. Sometimes your voice feels tight. Sometimes you get the note but not always with the best tone. Sometimes your voice cracks or you run out of air too soon. But you keep on going because you’re determined to do this wonderful, thrilling thing that for some possibly inexplicable reason you can’t imagine life without – the magic and power of singing. But could it ever feel easier? 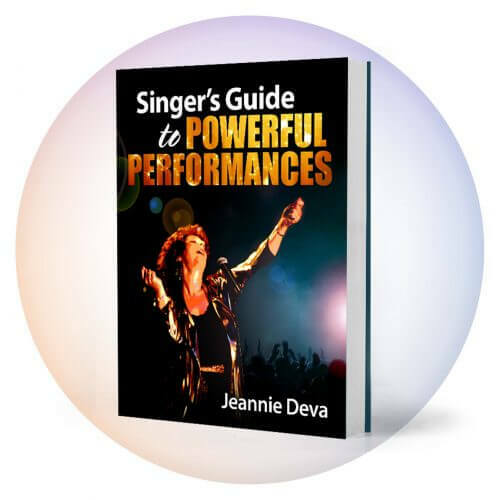 Many singers tend to do a few specific things which actually make singing harder. Here are a few tricks of the trade that make singing easier no matter your style. Quick Tip #1: Relax your tongue. Try this: Select a song to sing. As you do, rest the tip of your tongue behind your bottom teeth. It will need to move a bit to accomplish some of the consonants, but otherwise, especially as you sing long notes, leave it relaxed low in your mouth with the tip resting against the back of your bottom teeth. It may take a bit of practice to break the habit of tensing and overworking it. Remember; do let it move for the consonants so that your words will be understandable. But you will discover that releasing tension in the tongue has a lot to do with making singing easier. Quick Tip #2: Relax your lips. When you sing do you tense your lips? Are you exaggerating their movement or that of your cheeks or the opening of your mouth? Do you try to form your vowels with your lips? Try this: Put on a recording of a song you like to sing or a backing track of a song you perform. Stand in front of a mirror and watch yourself as you sing. Really put yourself into the song and watch your face, especially your lips and mouth. If you exaggerate the movement of your face as part of achieving the notes, this tension will back up into your throat and you will find yourself pushing against this tension. Remedy: Gently place the palms of your hands against the right and left cheeks of your face just to the sides of your mouth. Sing the song again and let your hands help you relax the movements of your lips, cheeks and mouth. Of course there will be some movement but we are working to have it be relaxed and natural, not excessive. Does that feel better? Do you notice a difference in how you sound? It should feel easier to sing and it sound better. Facial movements are a natural expression of your emotions; just don’t use them to try to get vocal sound. Quick Tip #3: Breathe into your back. 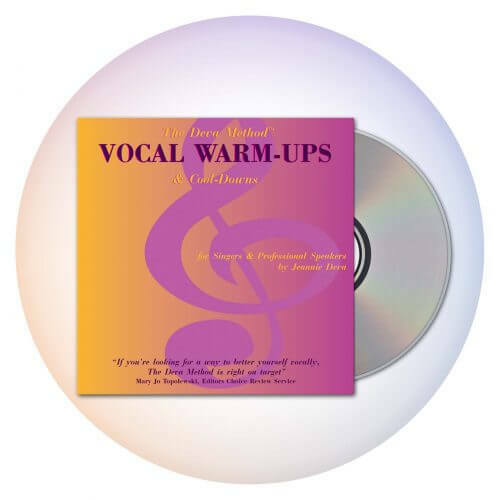 Do you push your stomach forward when you take a breath and then push it in when you sing? Or, as you sing, do you exhale or in some way push up or shove out air? If so, you’re driving out too much air which puts pressure on your vocal folds and causes them to either tense or blow apart. Instead try this: Lightly place the backs of your hands on the sides of your torso half way between the waist and the underarms. Take a deep breath letting your ribs expand outward against your hands. You will probably feel the air coming into your back. Now sing and let your stomach remain relaxed. Do the best you can to maintain the expanded position of your ribs. Do this a few times so you can get familiar with it and see how it affects your voice. Explanation: The largest parts of your lungs fill about 3/4ths of your back. To fill with air, your lungs need to be expanded by your ribcage. The expansion of your ribcage is what physically opens your lungs and pulls air into your body. Any forward movement of the abdomen is the result of the lower organs being moved down and forward. You don’t need to manipulate your abdomen to breathe – it just happens. If your ribs collapse as you sing or if you push the abdomen inwards, too much breath is expelled too quickly. This can cause tension in your throat and can make reaching certain pitches difficult or impossible. Singing with your ribs expanded results in a fuller voice. It takes practice with the correct exercises to develop ribcage expansion to a point where you can easily use it while singing. And when you do, you’ll find that you no longer have to think about or worry about breathing. It happens automatically and perfectly, leaving you free to concentrate on the expression of your song. This tip is only intended to give you an idea of how it could work for you. 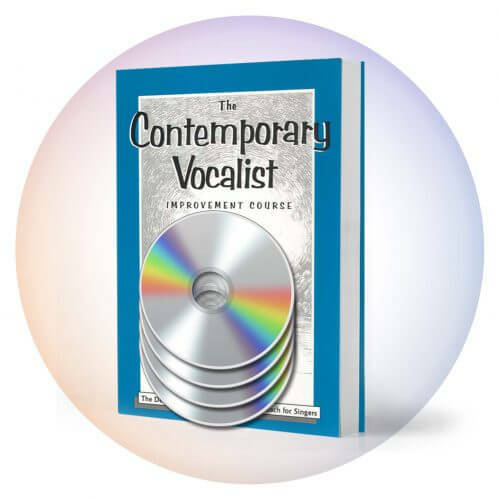 If you want to develop effortless ribcage expansion, the exercises and additional information about why it makes singing better and easier can be found in my Contemporary Vocalist Volume One.